Who has never dreamed of fulfilling his dream of love with a honeymoon to be remembered forever, a moment to be lived in the top relax and serenity, maybe in the magic scenery of a dreamy destination. Ever year the Amalfi Coast is the destination for those that just said “yes” at the altar, ready with their suitcases to celebrate their love story with a honeymoon in the Amalfi Coast. Here at the Hotel Margherita, we are always ready to welcome you and give you the time of your life, away from your busy schedules, putting first your persona and your needs, and in this case, your love story. All of us have been in love, some still crazily are, indeed with our partners, but also with the land we wake up in every morning, a corner of Italy where the sun rising is enough to experience inspiration, passion and love. From Positano to Ravello, going through our Praiano, to Amalfi, a myriad of picturesque places marks the trail that from the mountains, leaves breathless, due to its romanticism and beauty, between the fantasy and curiosity to discover the history and the thousands of years old culture of the Coast. 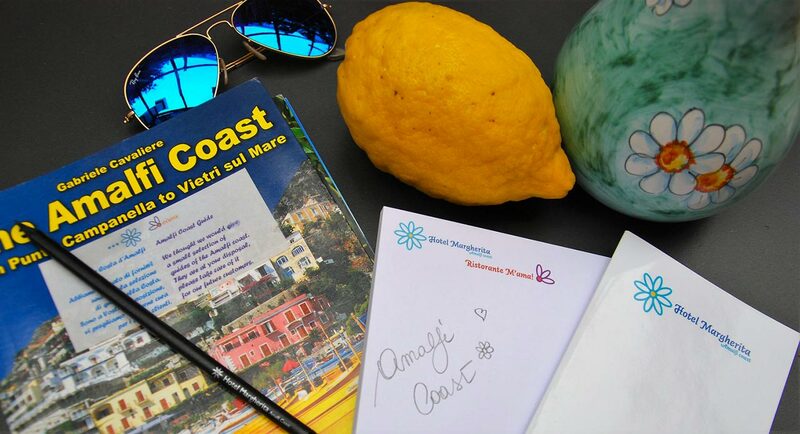 Every jewel on the map is at hand for the couples that choose the Hotel Margherita for a honeymoon in the Amalfi Coast, dining at our sea view terrace restaurant, an evocative and exciting environment enriched by a way of cooking that wisely combines the Mediterranean tradition with innovation. During the years our staff has been able to capture the spirit and the needs of those, that just married, wanted to arrive in a destination of peace, surrounded by a landscape able to turn on their imagination, with the services of a warm and prepared staff willing to make their love dream last longer, till the end of their stay in Praiano. we will be glad and honored to welcome you to our hotel Margherita and help you live these amazing days at their best!